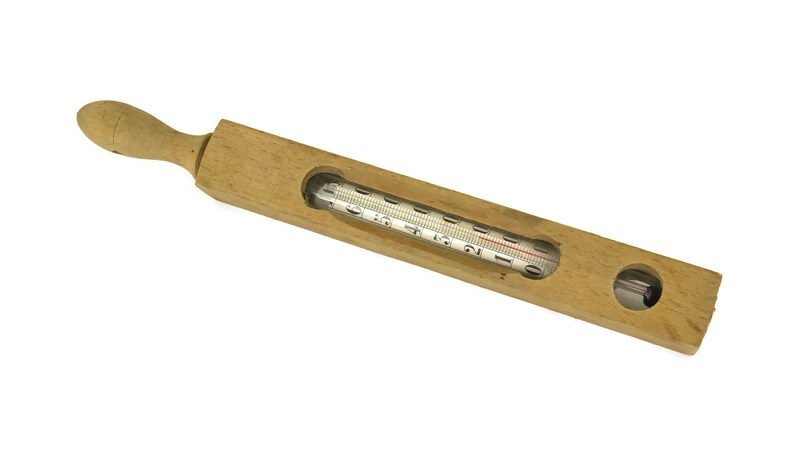 An antique French floating thermometer in its original wooden case. 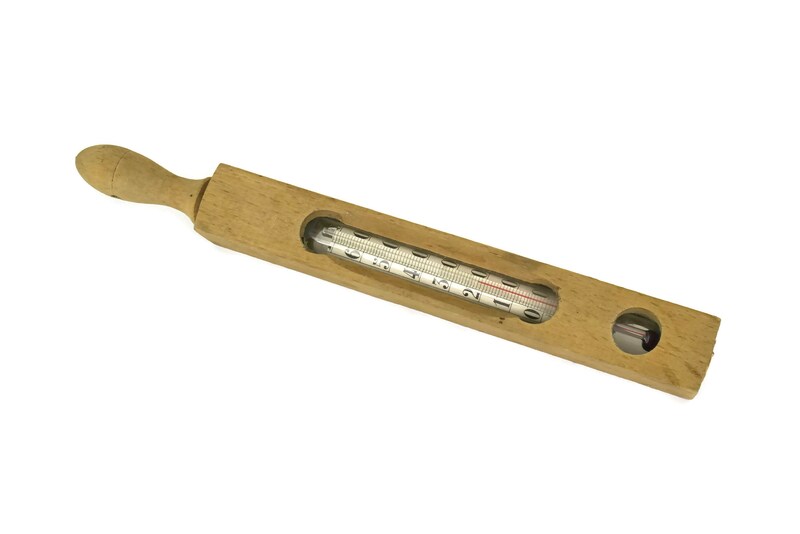 It dates to the early 1900s and was used for testing the bath water temperature. 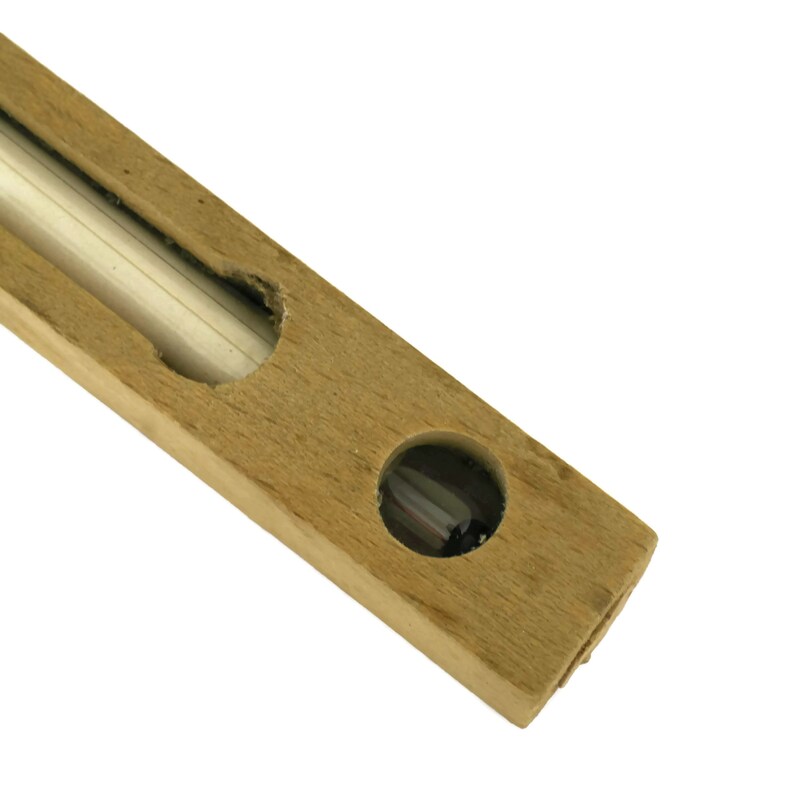 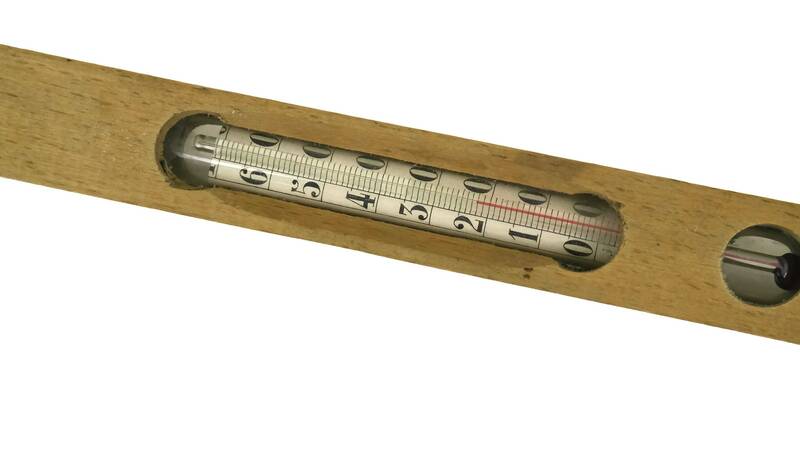 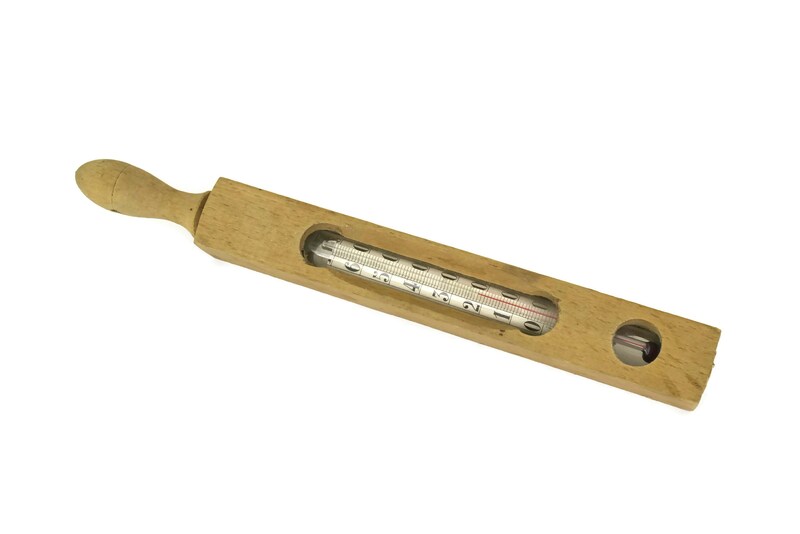 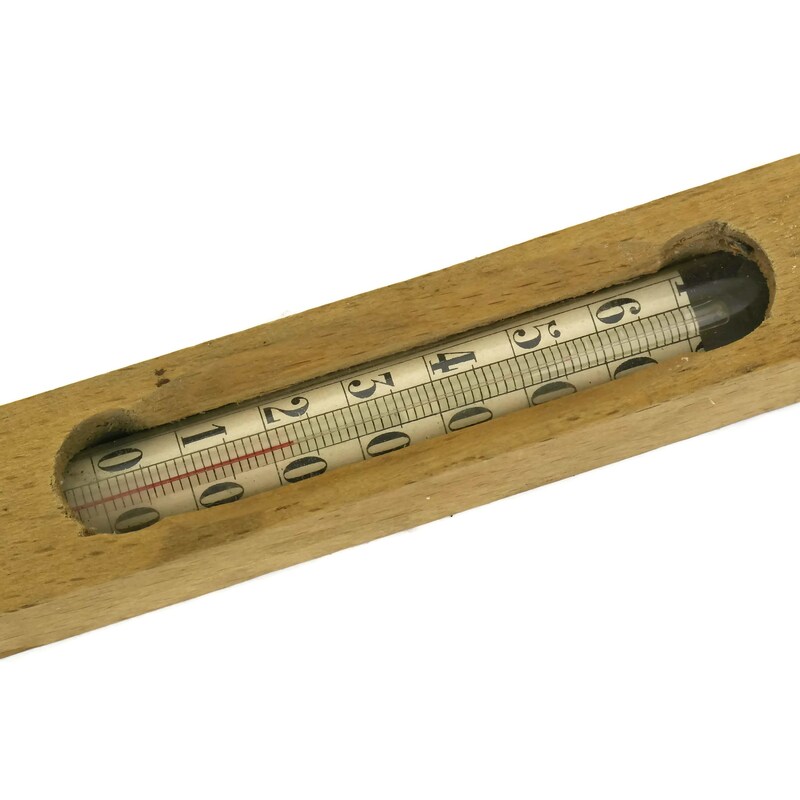 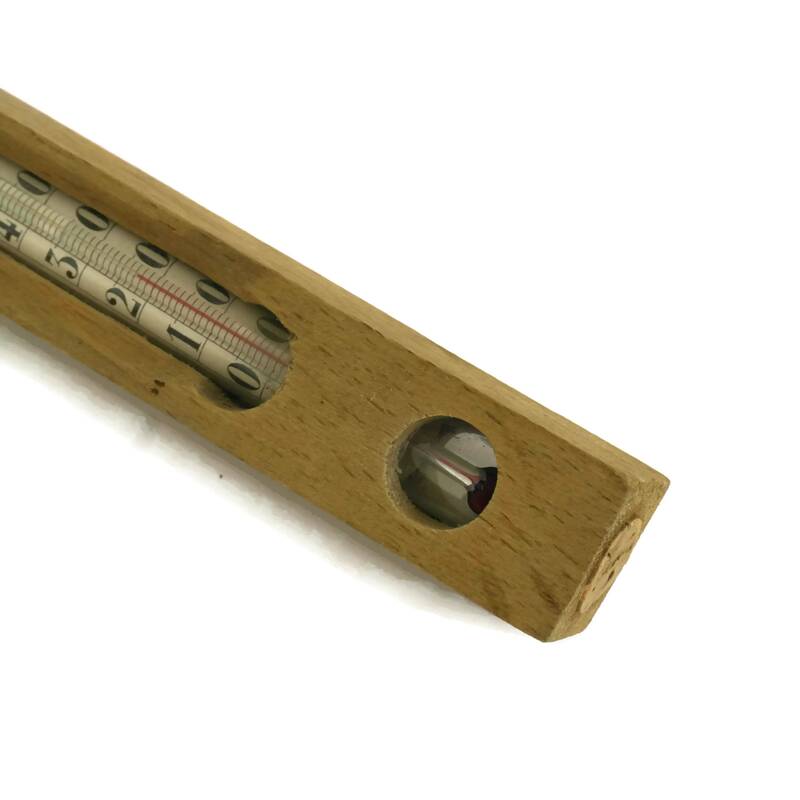 The large, rustic thermometer is enclosed in a glass tube with a printed graduation scale with numbers printed in degrees centigrade. 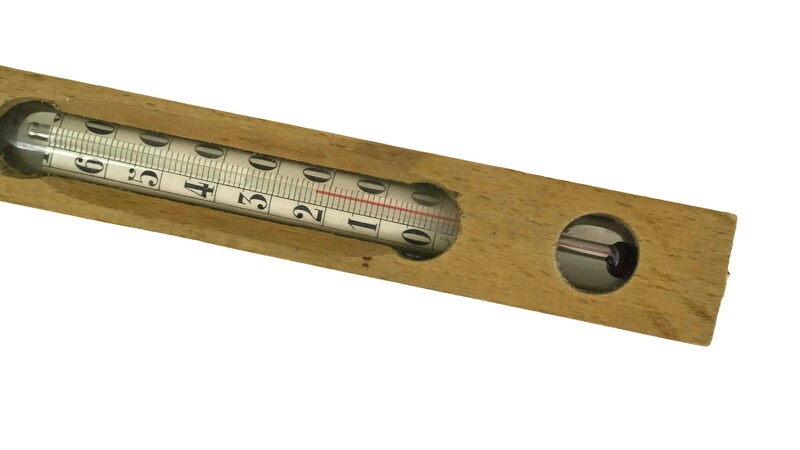 It is filled with red colored alcohol. 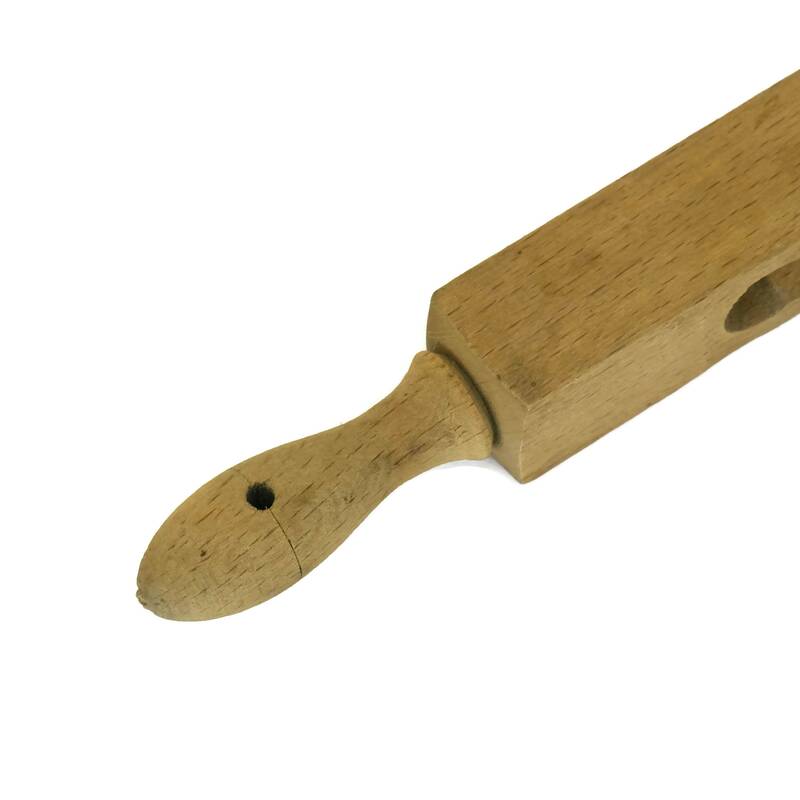 (25 cm x 2,5 cm). 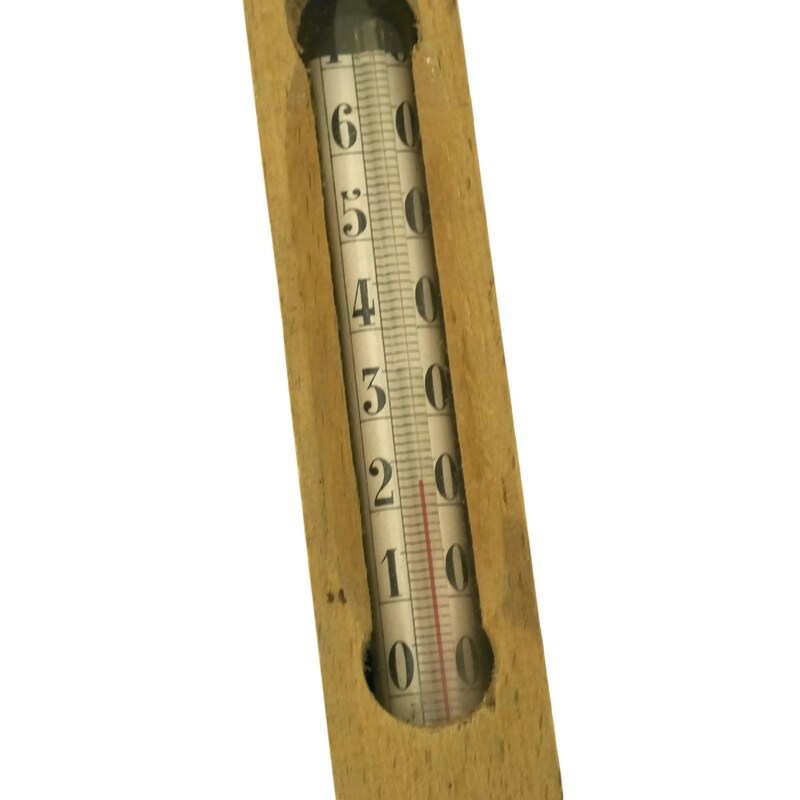 The antique thermometer is in very good condition and in full working order.